According to a study conducted by the World Health Organization, more than 30 percent of Australians don’t get enough exercise on a regular basis. As a result, Australia currently sits in 97th place out of 168 countries in the WHO’s latest ranking of the fittest countries. Learning what to wear to the gym will be a step in the right direction for you. When you have the right workout gear at your disposal, it’ll make it that much easier for you to get excited about exercising. 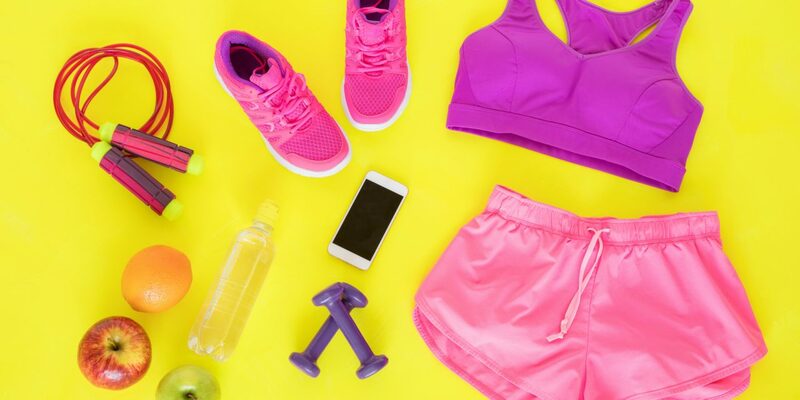 Here are 7 gym attire essentials that you’ll need to have packed in your gym bag. There are a lot of people who make the mistake of wearing cotton T-shirts to the gym. These T-shirts are affordable and comfortable, so they’ve become a popular choice for those who work out regularly. But the problem with cotton T-shirts is that they lock in moisture when they get wet, which means that they usually get very heavy once you start sweating. They can also cause chafing to occur and end up making you extremely uncomfortable during your workouts. Rather than wearing cotton T-shirts, you should opt for shirts made out of synthetic materials instead. Look for shirts that contain materials like acrylic, nylon, and polypropylene for best results. They’ll keep you cool in the gym and prevent you from walking around with a shirt that’s soaking wet. One of the other mistakes that a lot of people make when getting dressed to go to the gym is putting on a pair of cotton sweatpants. Just like with cotton T-shirts, cotton sweatpants tend to hold moisture in and make it difficult for people to move around once they’ve worked out for a few minutes. Instead of wearing cotton sweatpants to the gym, you should strongly consider wearing a pair of sweat-wicking tights or leggings. Try to find breathable tights and leggings made out of synthetic materials that won’t allow moisture to build up. Tights and leggings will make it easy for you to make all the movements you’ll need to make to get a good workout in. Whether you’re going for a run or taking part in a yoga class, you’ll be comfortable throughout the duration of any workout. There are all kinds of different injuries that you could potentially sustain while working out at the gym. And many of them involve injuries to your legs and feet. Unfortunately, there are far too many people who wear whatever sneakers they have lying around their houses to work out. They end up paying the price for it when they’re dealing with shin splints, plantar fasciitis, or one of the other leg or foot-related gym injuries. You can prevent leg and foot injuries by investing in a brand-new pair of training or running sneakers for the gym. You should try the sneakers on in a store before buying them to make sure they fit properly and move around in them a little to make sure they’re comfortable. You should also replace your training or running sneakers every so often so that you’re not working out in worn-out sneakers. Consider doing it about once every six months depending on what types of workouts you do and how often you work out. When you’re picking up new sneakers for the gym, pick up a six-pack of comfortable sports socks as well. You should never, under any circumstances, work out in dress socks that won’t provide your feet with enough support. All women should have a steady supply of sports bras that they wear almost exclusively to the gym. Sports bras are designed to provide women with the support they need. They prevent excessive movement in the chest area and make workouts more comfortable overall. The sports bras that you buy should feature some blend of cotton and lycra. These materials will cut down on moisture and prevent odors from building up. 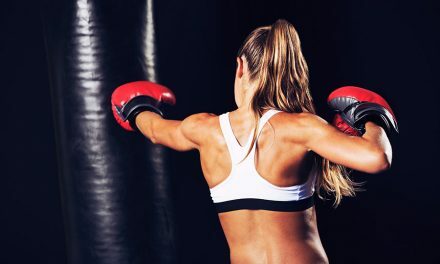 There is just about nothing worse than trying to make your way through a tough workout with your hair falling in your face every five seconds. It can be especially annoying if your hair is soaked with sweat and causing sweat to get into your eyes. Prior to your gym workouts, you should either put a headband on that will keep your hair out of your face or use a hair tie to pull your hair back. A headband is usually the better choice since it’ll take care of your hair problem while also eliminating sweat. Staying motivated when you’re in the gym can be a challenge. It’s why so many people quit the gym and don’t get enough exercise on a daily basis. You can keep yourself motivated by wearing a fitness tracker every time you go to the gym. It’ll keep count of how many calories you’re burning, monitor your heart rate, and so much more. Once you start using a fitness tracker, you’ll be hooked. It might even turn into the most important thing you wear to the gym during your workouts before long. When you know what to wear to the gym, you’ll feel more comfortable once you get there. That will, in turn, lead to better workouts and make exercising more fun for you. Pick up the gym attire that you see here and start wearing it to the gym every time you go. It won’t be long before you find yourself looking forward to putting your gym clothes on. Read our blog to learn about putting together a workout plan for yourself that will produce real results quickly.